I love the midi skirt and crop top trend. 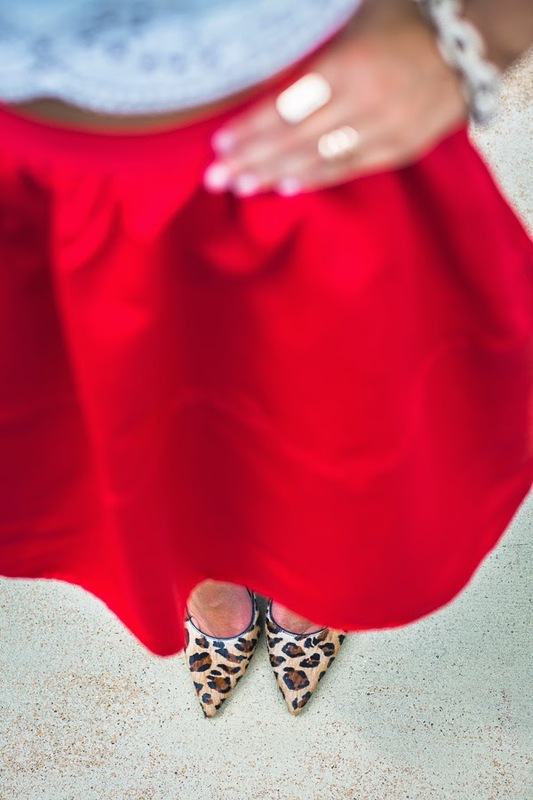 I got the leopard heels during the Nordstrom Anniversary Sale, and they are easily my favorite and most comfortable heels. This outfit was just fun to put together and shoot. I must say though, I am so ready for fall. I can’t wait to bring out the flannel, scarves and booties.